We are Wade and Emmy Mitchell. We are a husband and wife team of real estate investors. We buy and sell houses, and we actually enjoy working together. Every day we come to work to have fun. We feel blessed to be able to live and work here in Amarillo, TX. 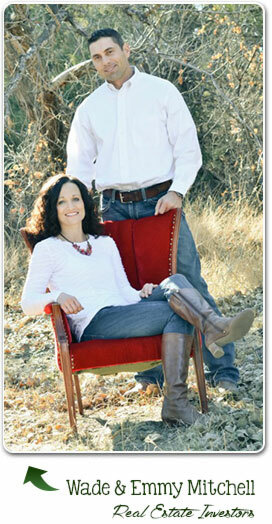 We began investing in Real Estate in 1999 shortly after we moved to Amarillo. Our first house we bought to live in was a duplex. We lived in one side and rented out the other. Soon we bought another one, and another one, and another. The rest is history. We love real estate! We also love helping people. When we bought our first house we were very young and inexperienced. No one took the time to explain everything to us so we were very confused. Today we work hard to make sure that the people we work with feel comfortable and that they understand all of their options. We pride ourselves in being different from all the nationwide real estate investors. We have found that when people clearly understand all of their options they can usually make a good decision. 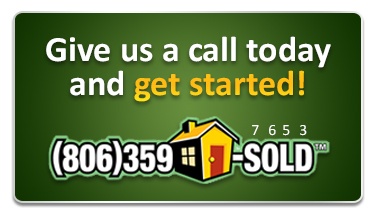 If you need to sell your house in Amarillo or Canyon we would love to hear from you. Even if you don't sell to us, we can probably still give you some great tips. Give us a call or shoot us an e-mail at wade@mitchellpropertygroup.com.